Hackable bodies, mutable genders, panda people, floating markets on neon rivers and lots of magenta! 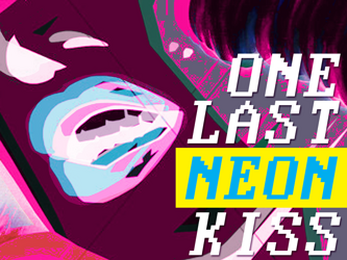 ONE LAST NEON KISS is a Twine-based interactive adventure about love and gender set in a cyberpunk world where cyberspace has transposed the limits of the body and reality itself. You are a pet AI coder living one more regular day, until an opportunity to make some extra money will put your whole life on spot. In a world where Cyberspace is like a fabric interweaved with reality, coding can change almost anything and even your own body can be hacked and tweaked at your own taste. But how much does the real-life experiences value in such an interchangeable world? If no queen drug dealers, androgenous avatars with very well defined biological bodies, nor gay rustic bears that become lady girls in CyberChats can change your perception, maybe your past will. A past that left you, but you still didn't left it.